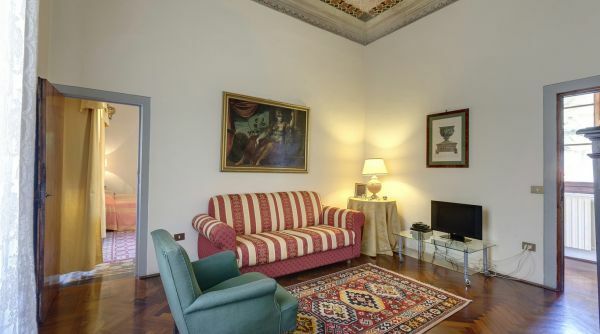 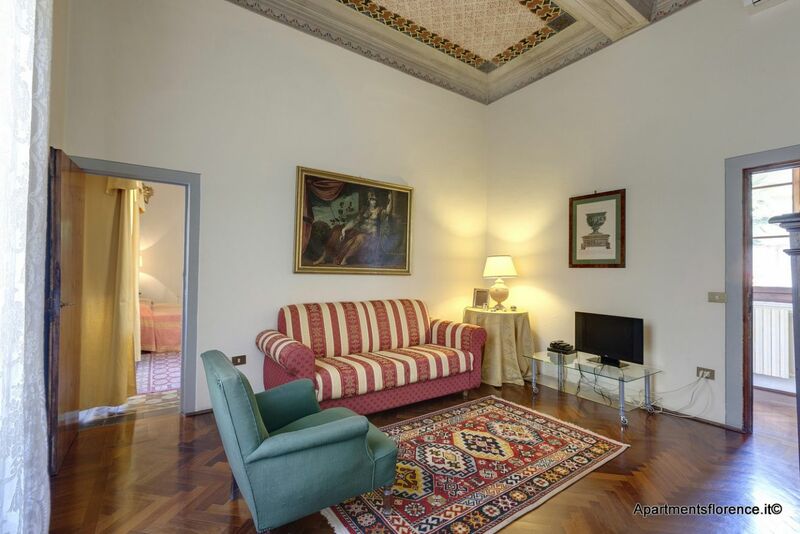 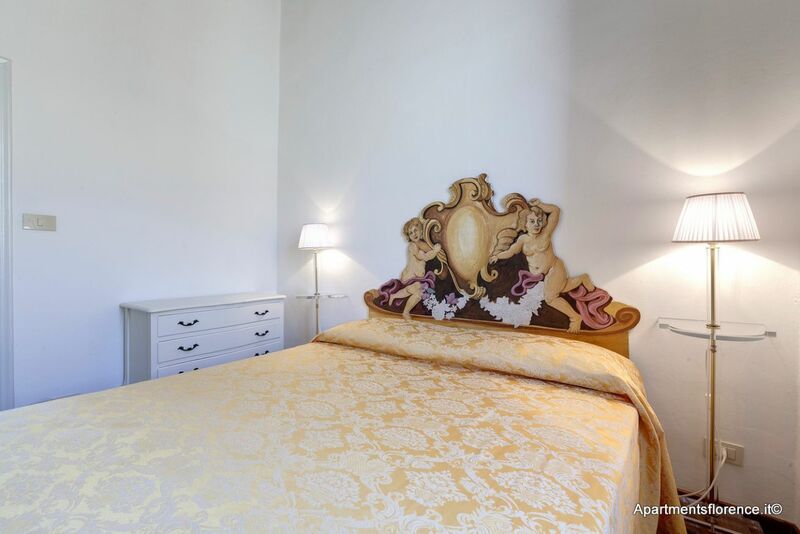 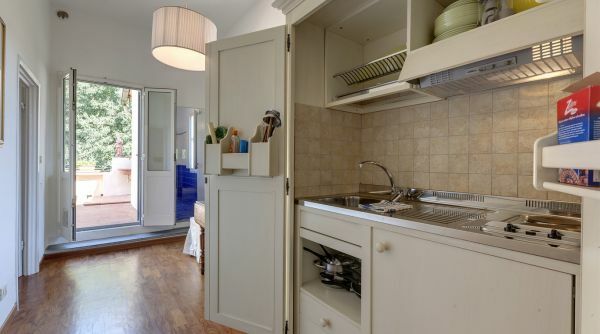 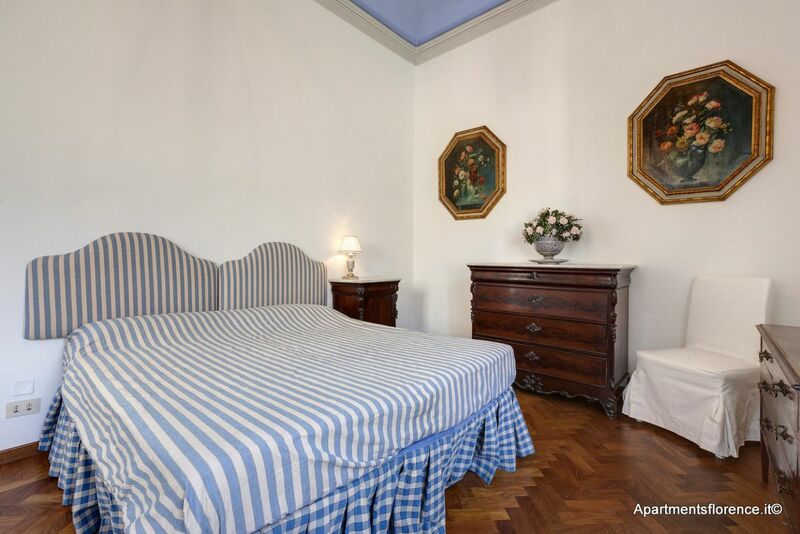 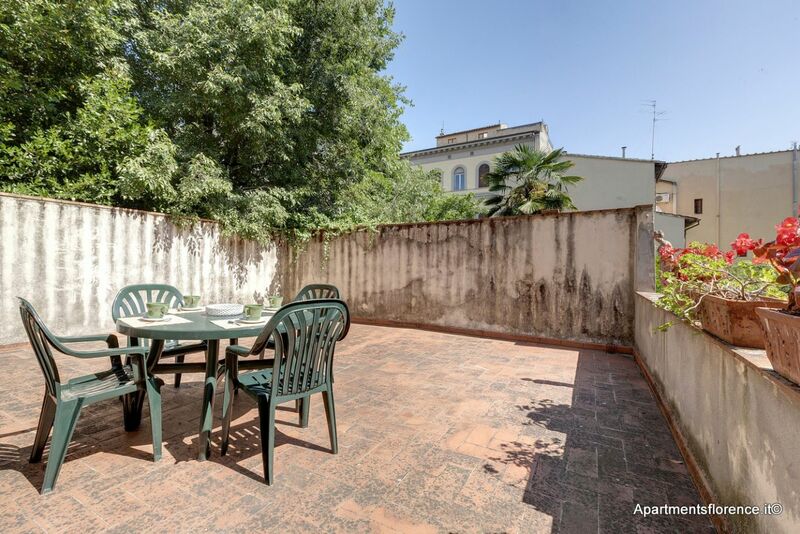 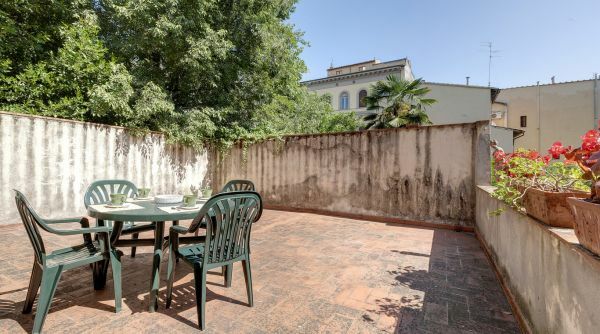 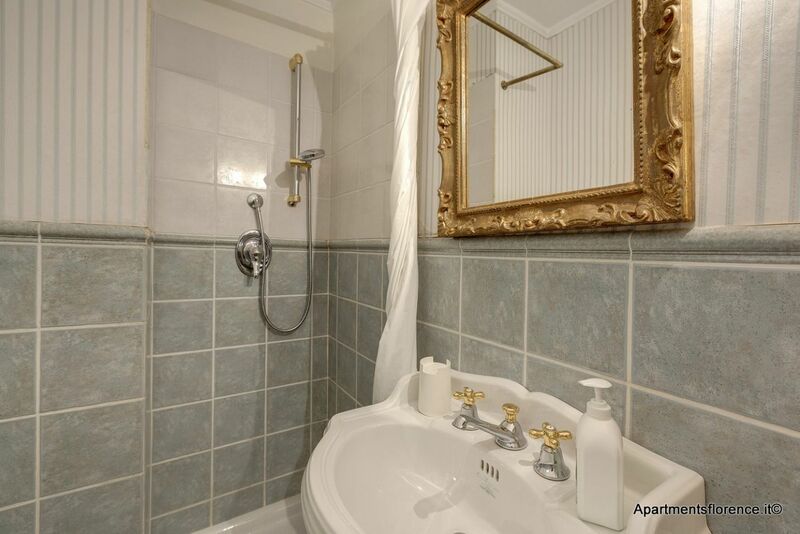 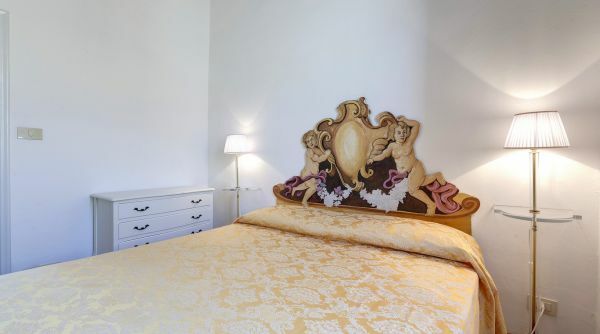 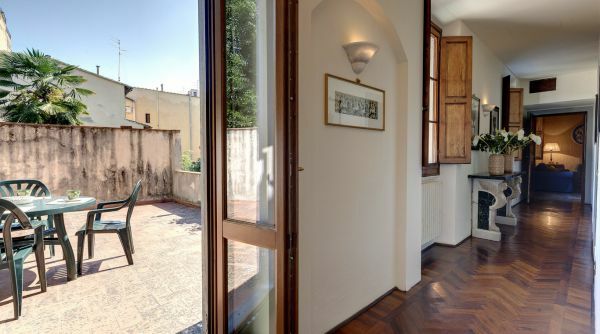 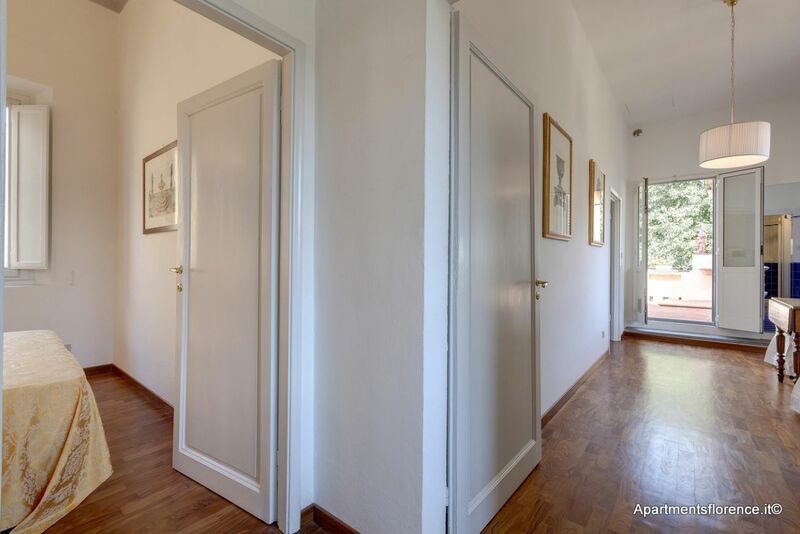 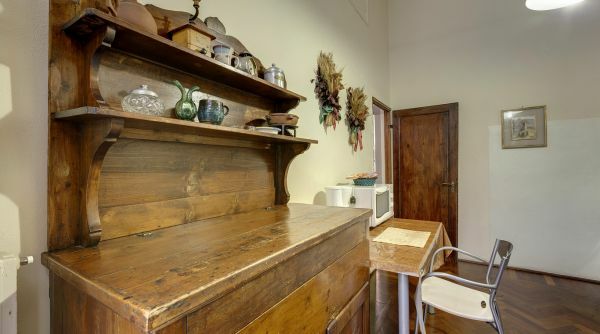 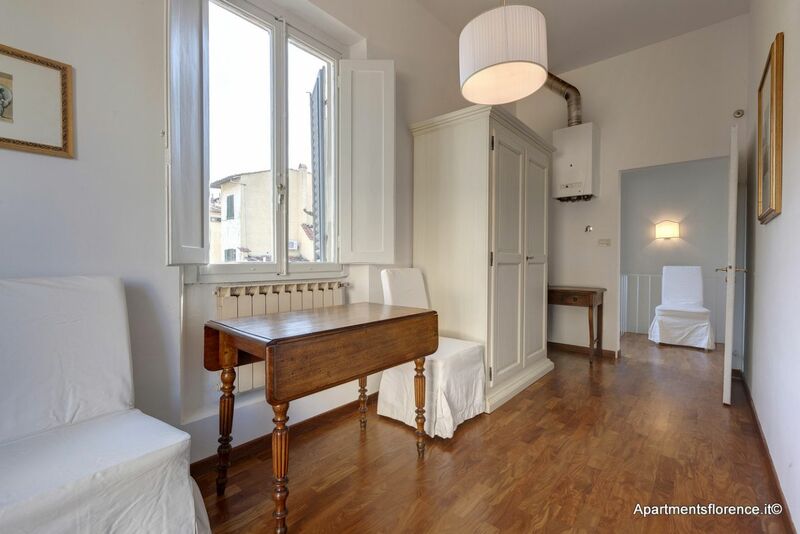 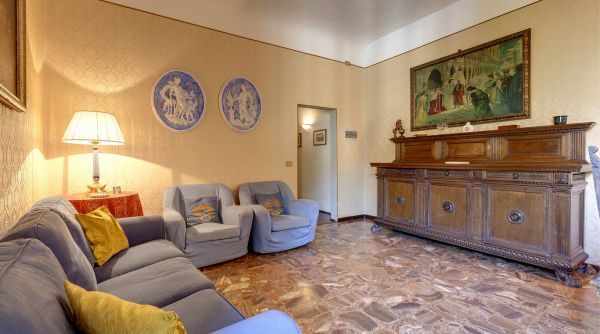 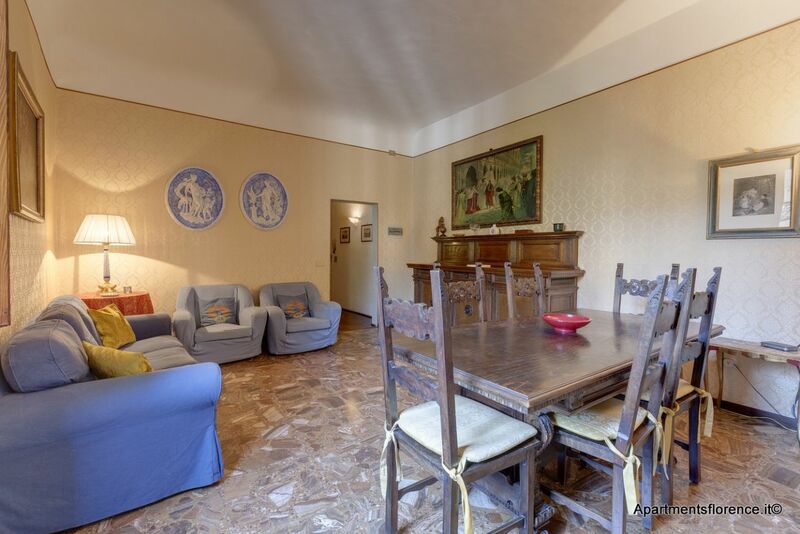 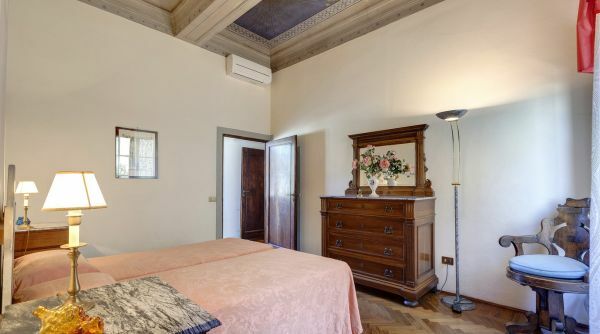 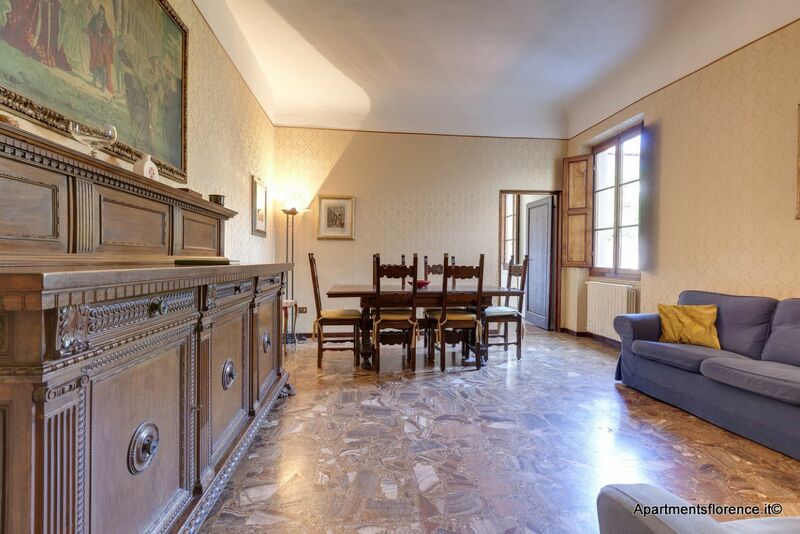 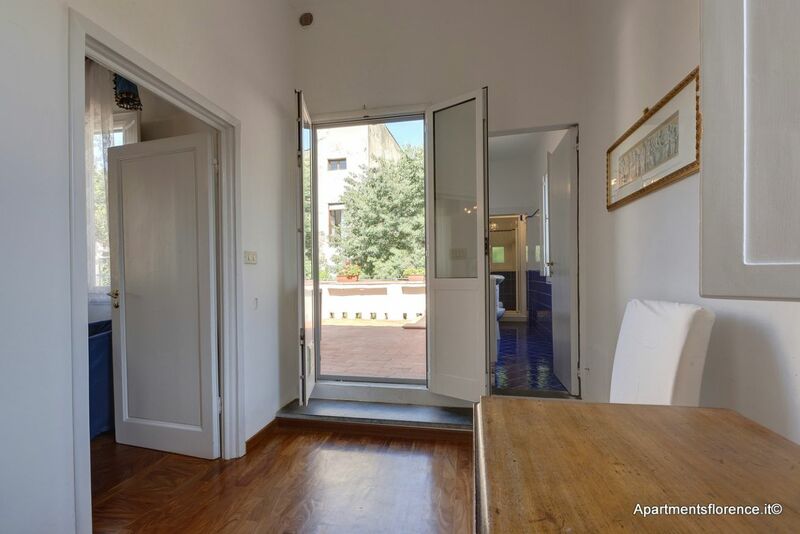 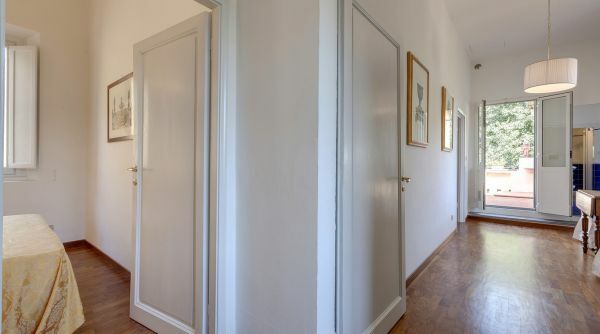 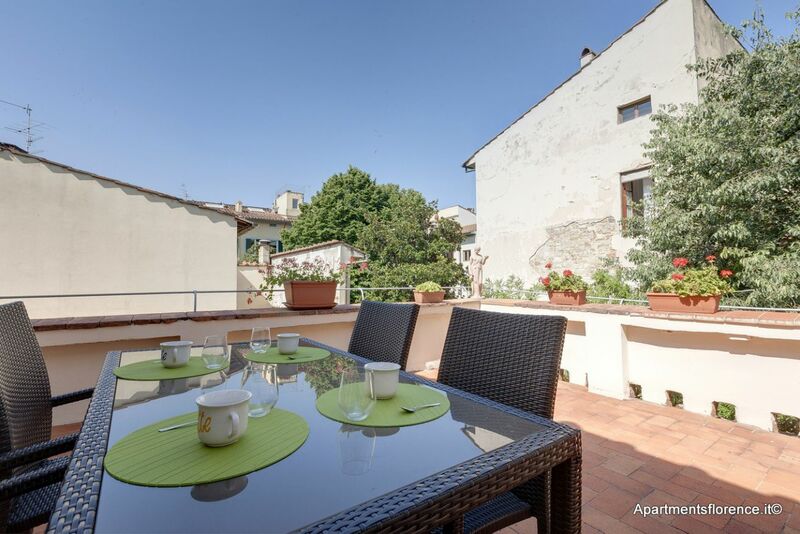 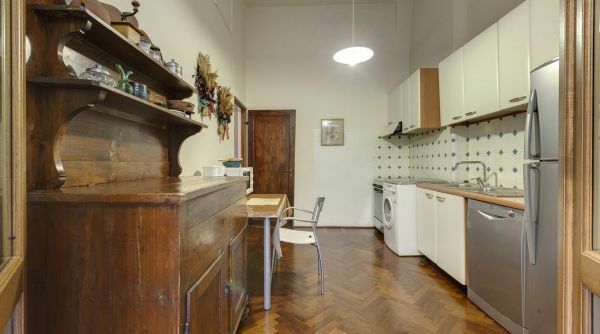 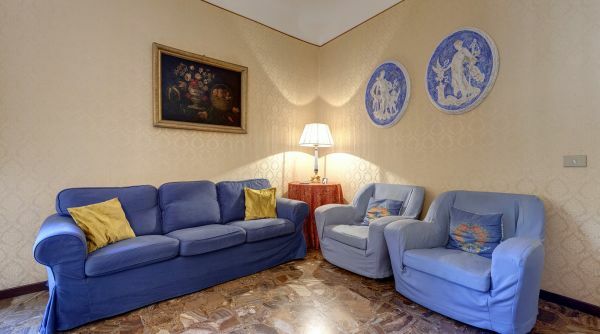 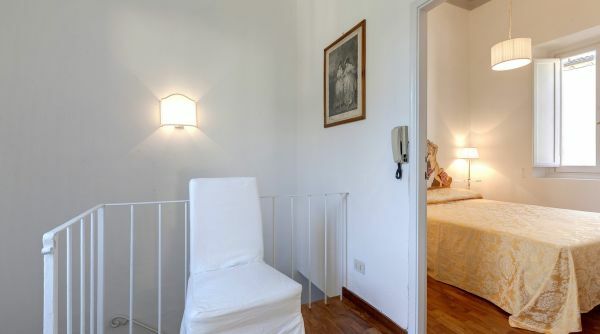 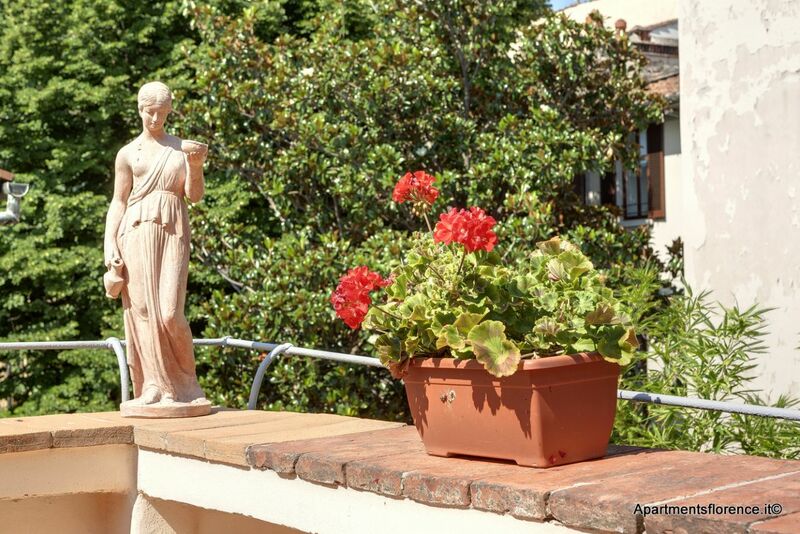 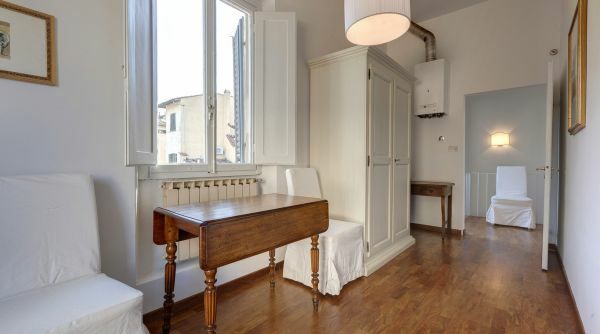 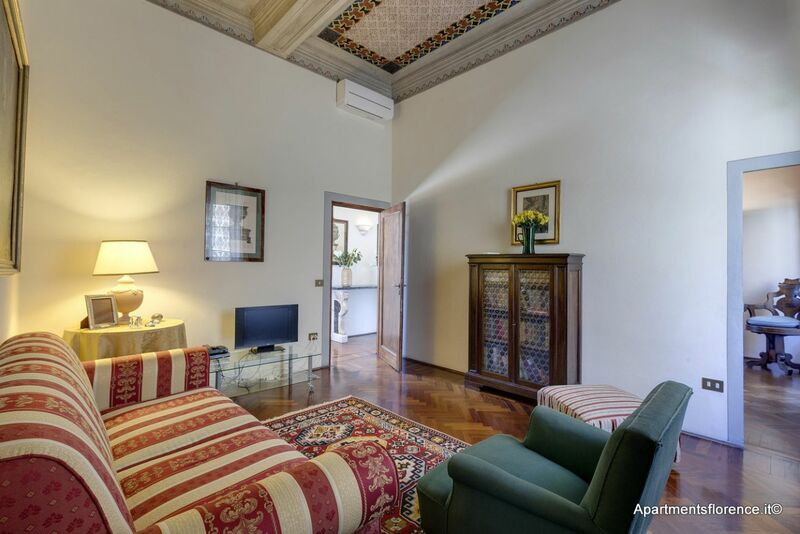 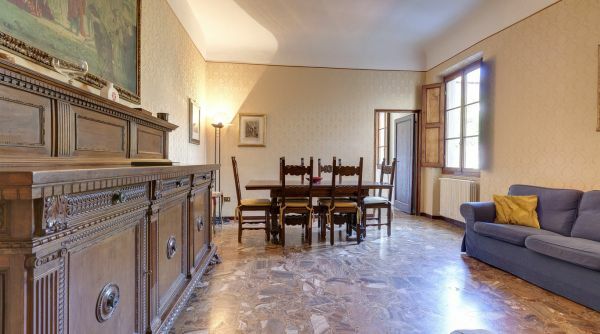 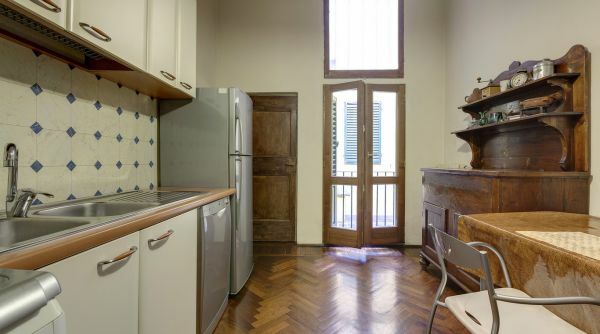 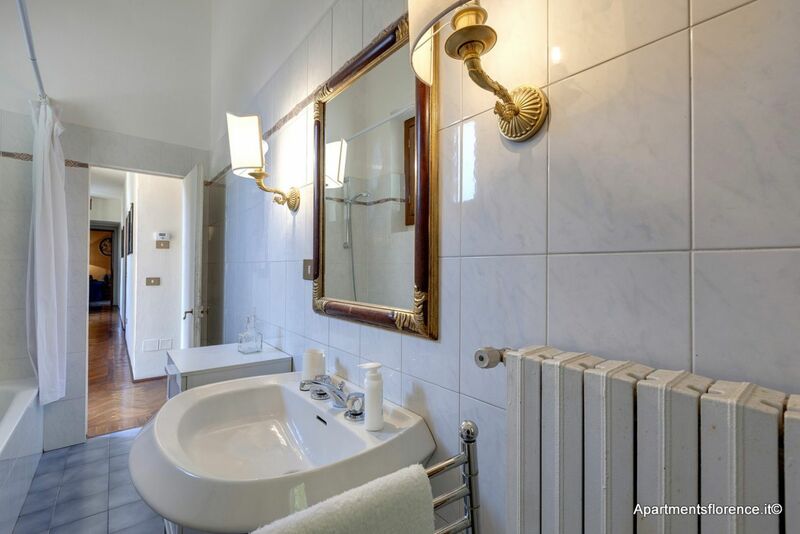 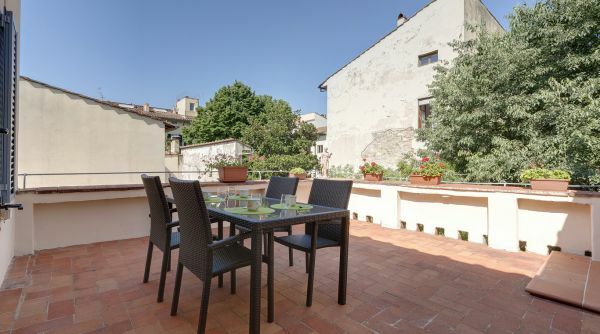 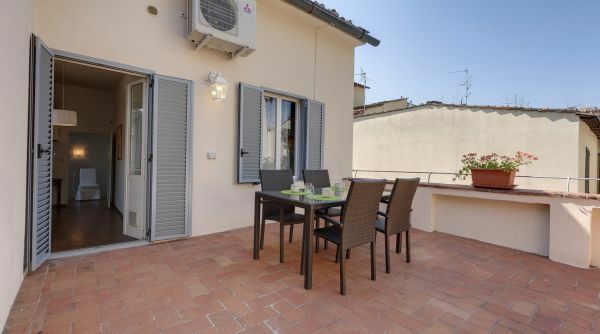 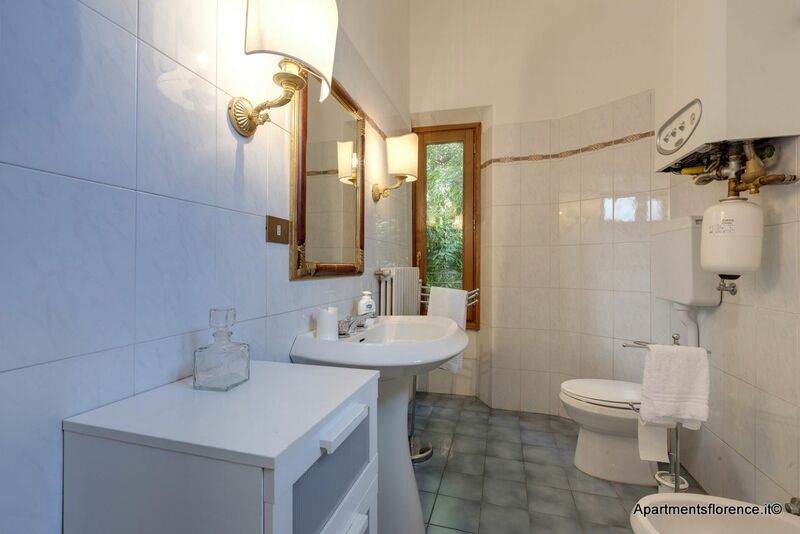 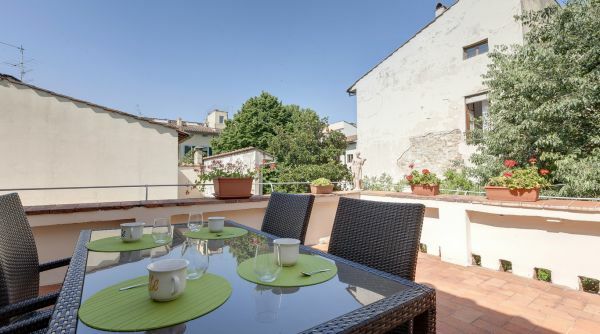 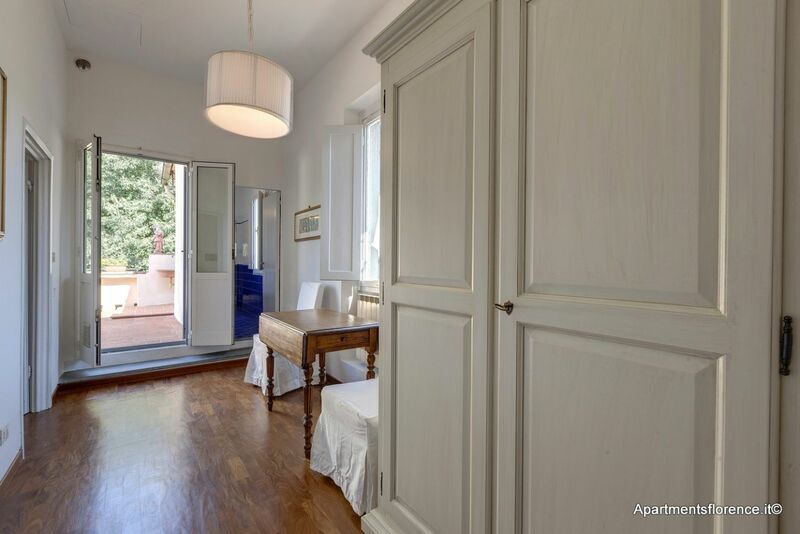 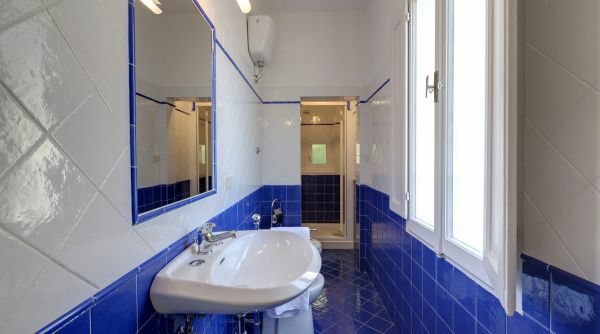 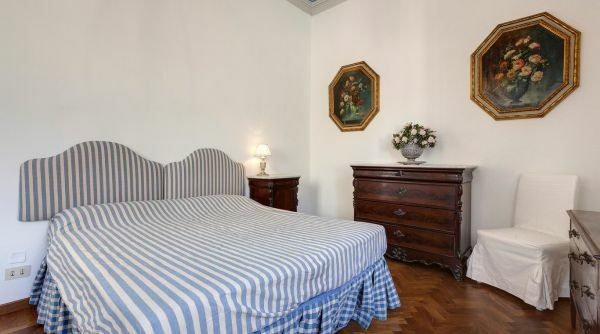 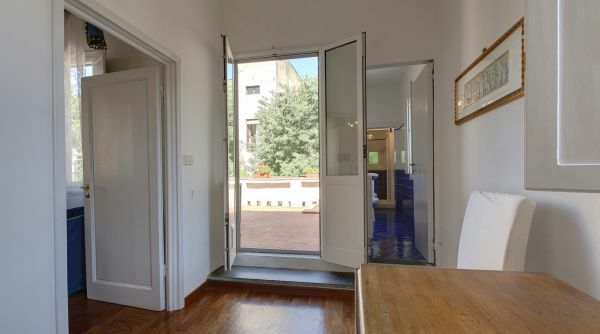 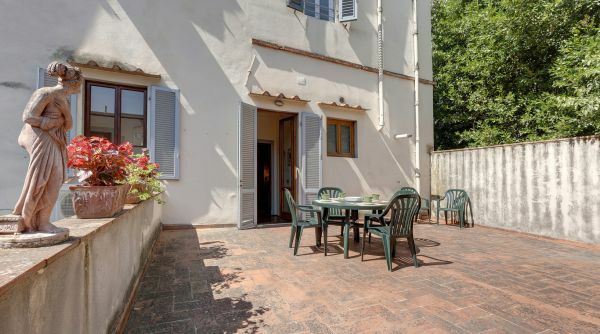 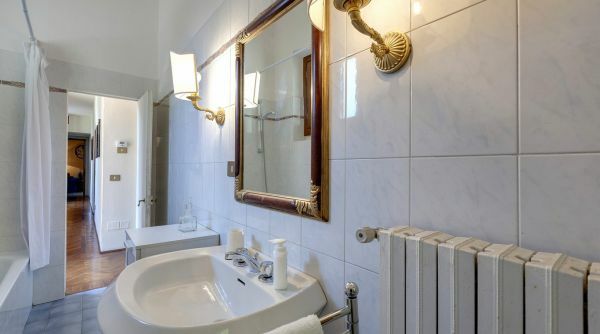 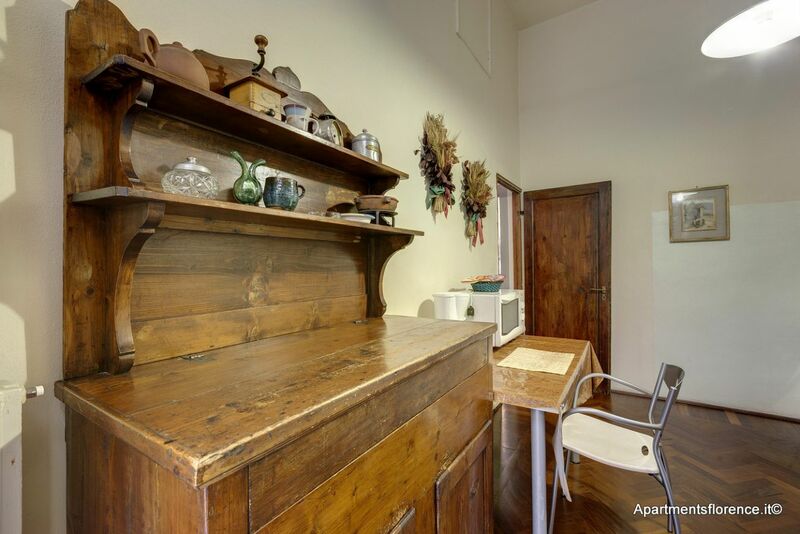 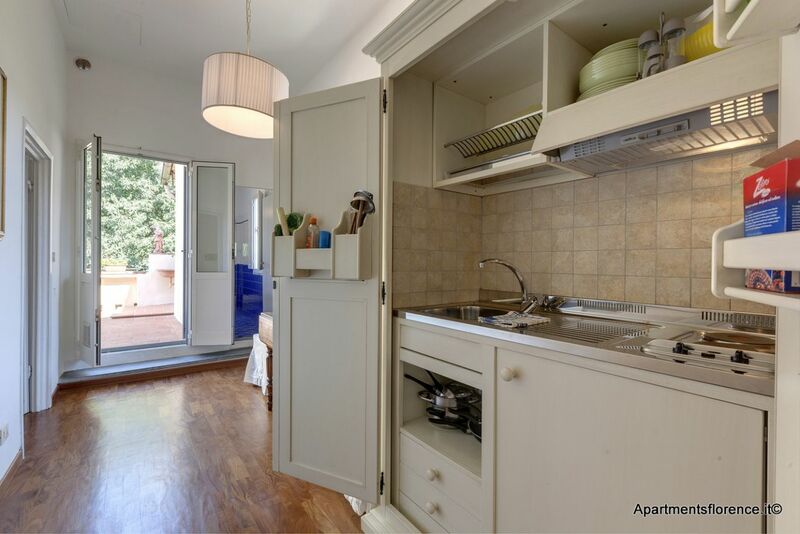 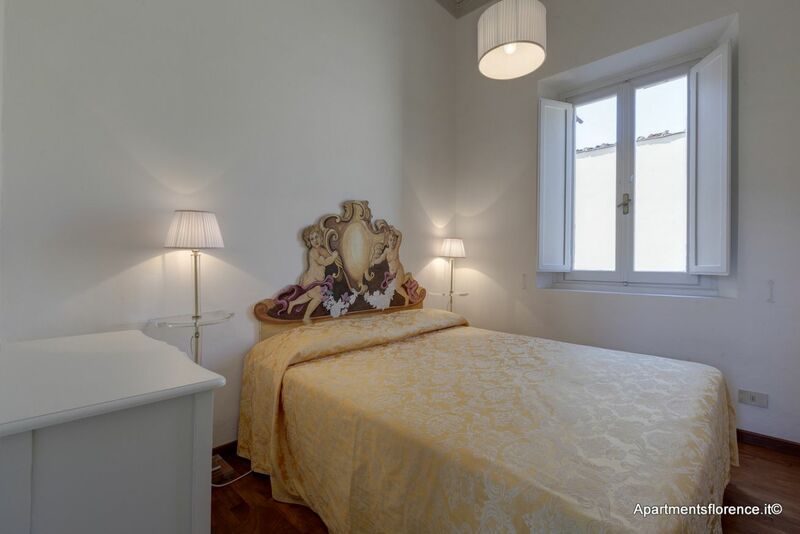 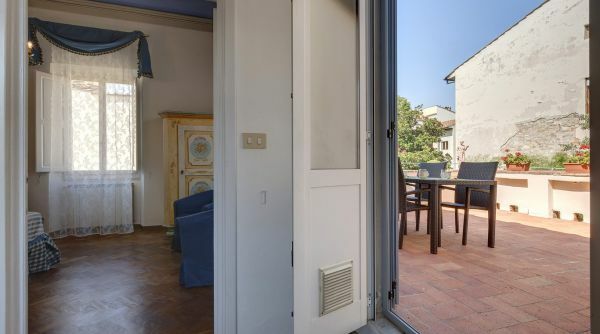 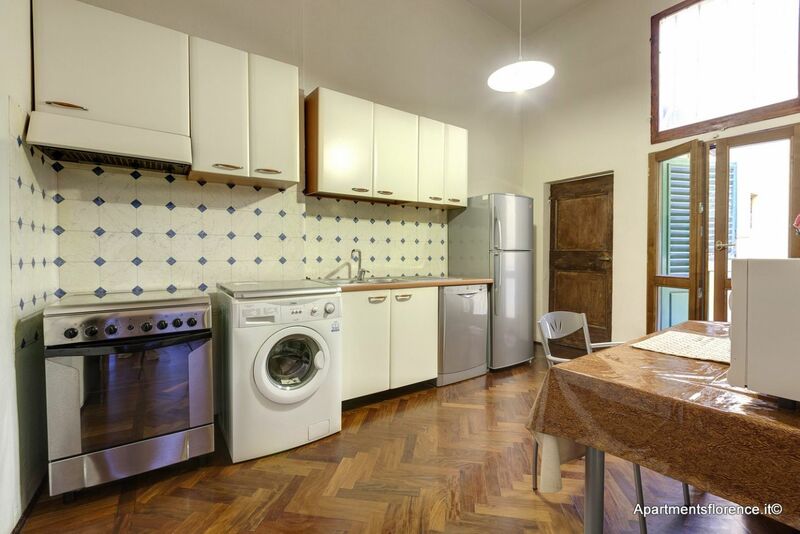 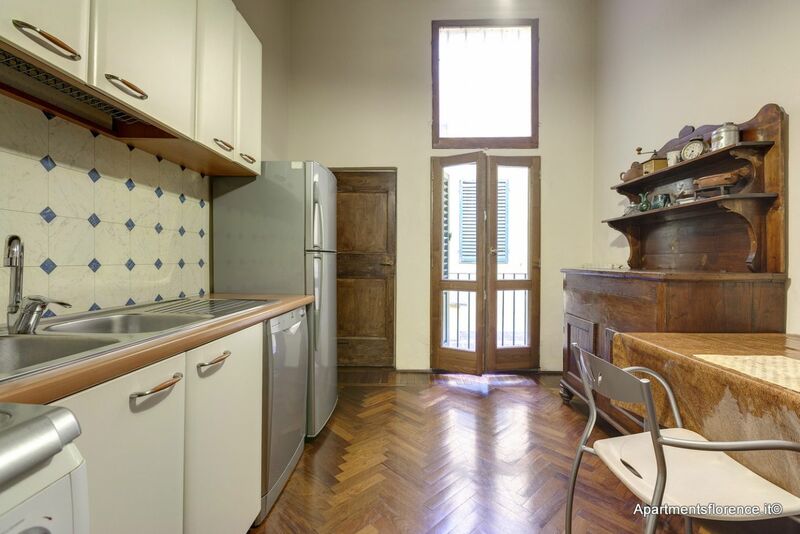 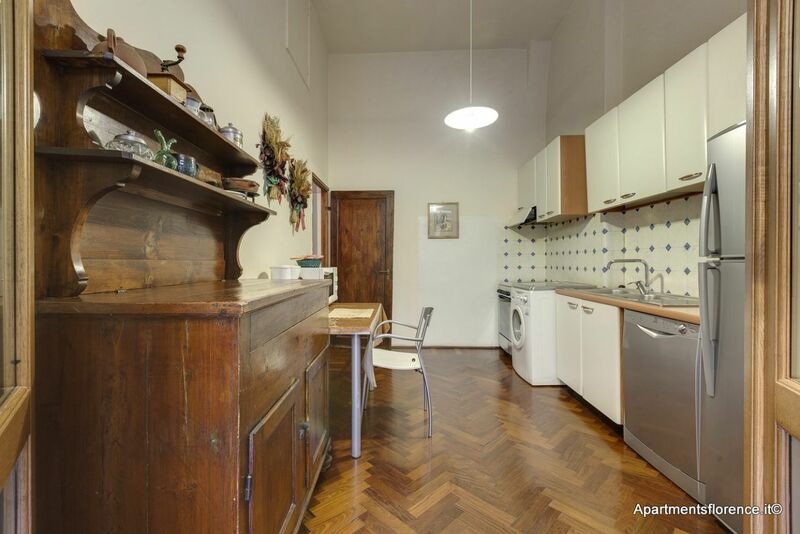 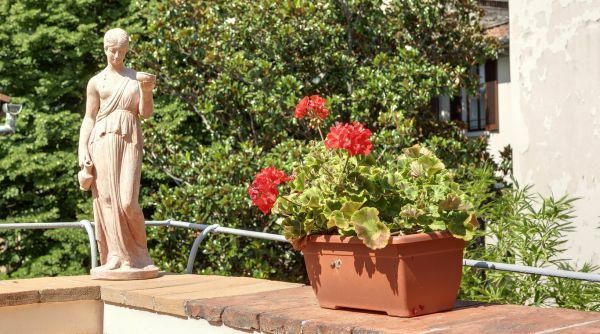 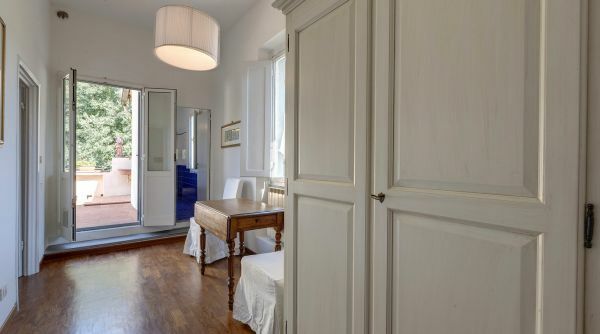 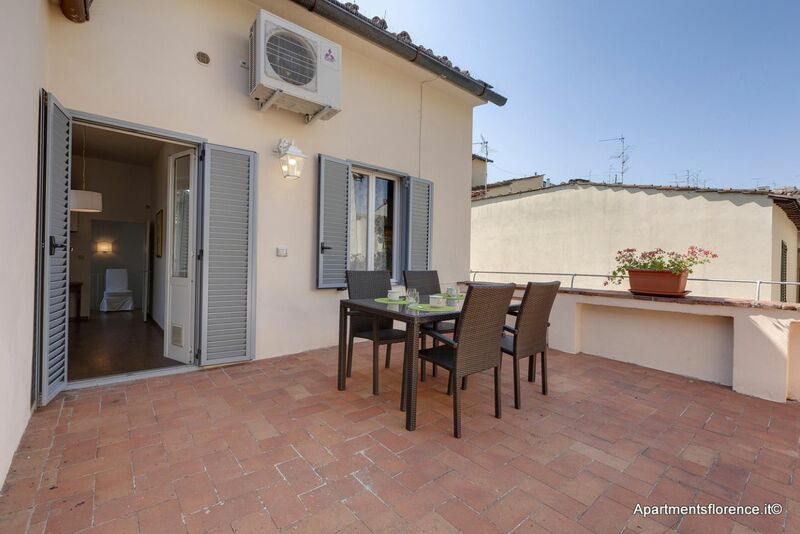 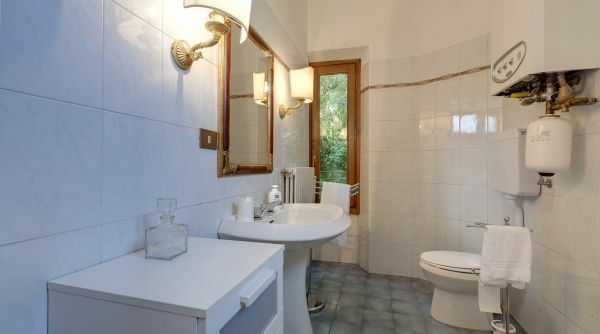 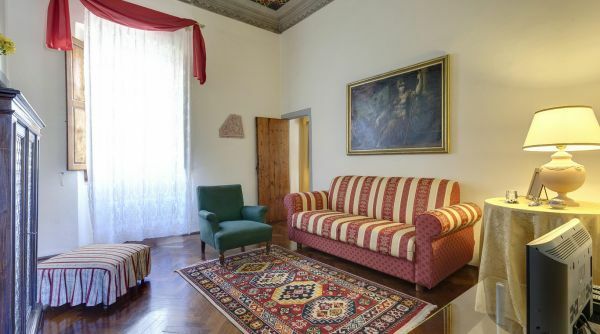 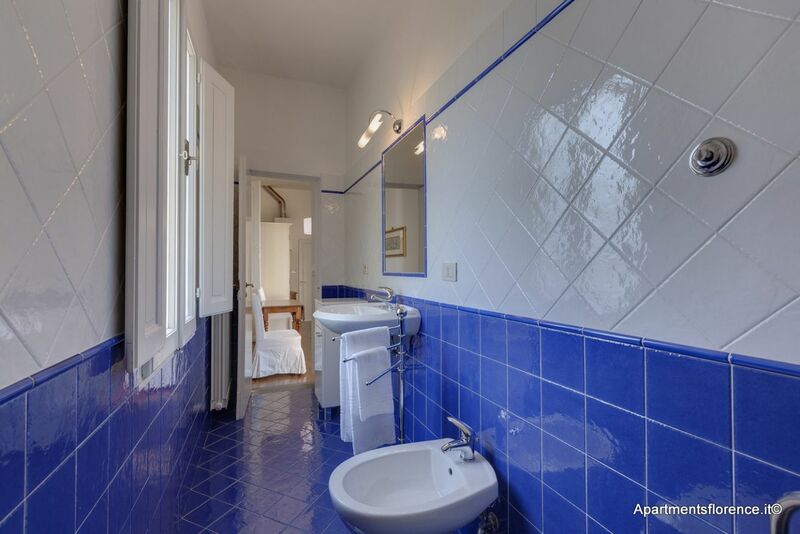 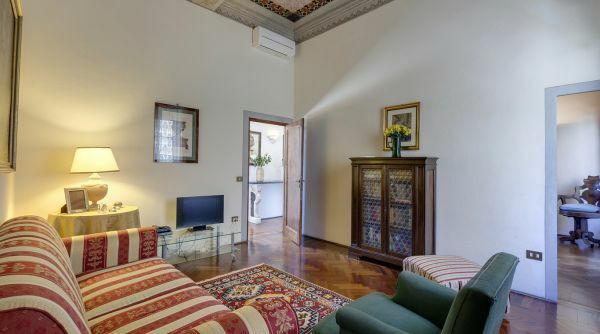 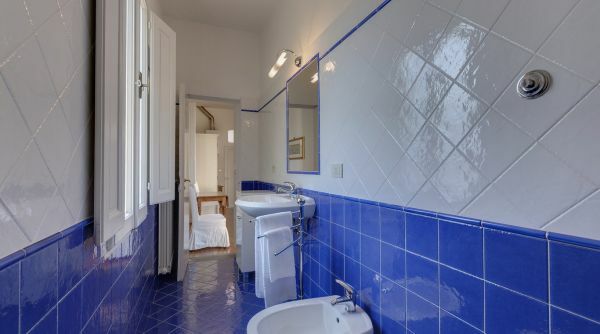 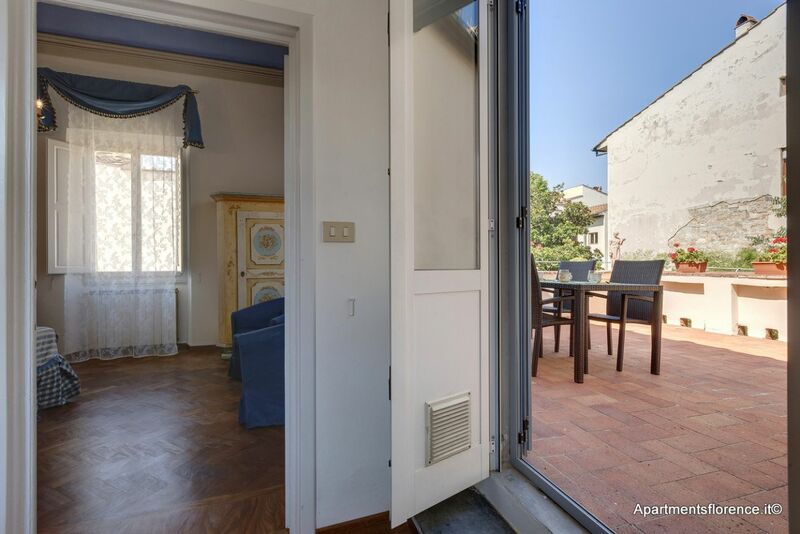 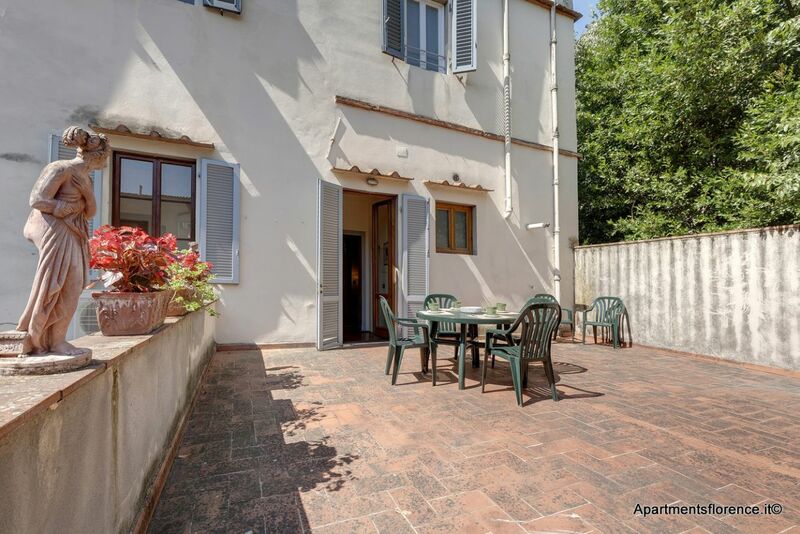 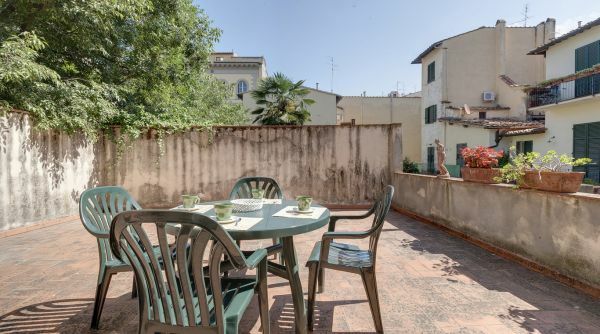 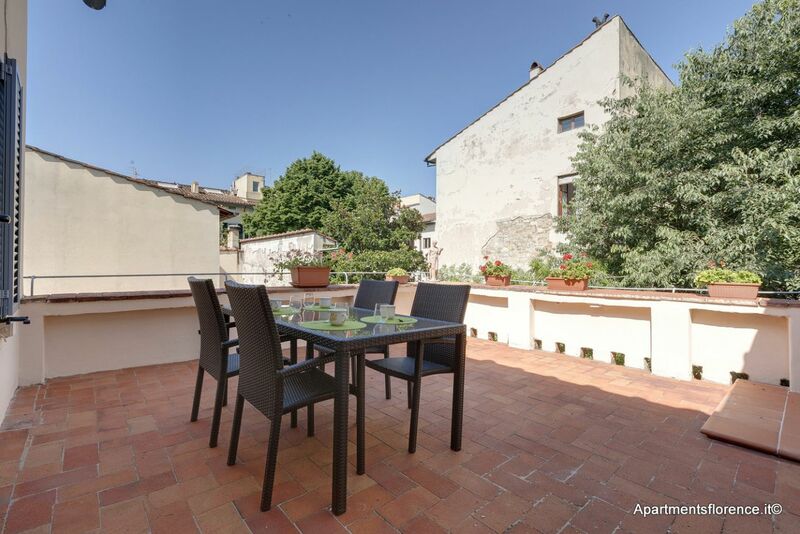 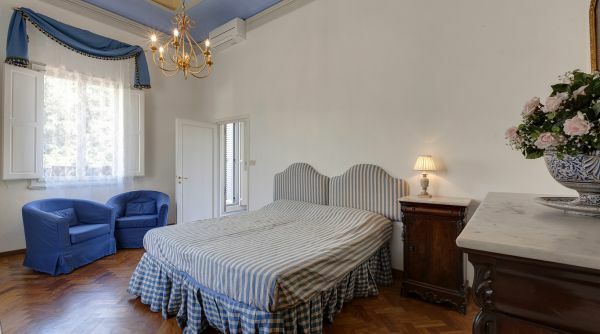 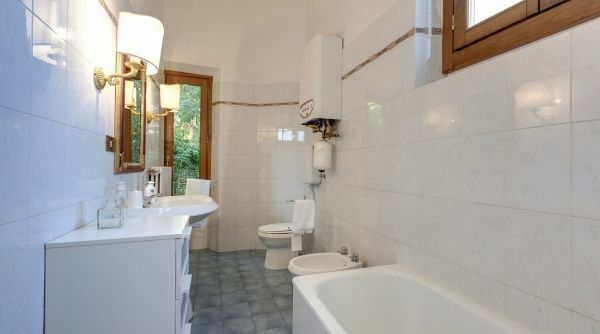 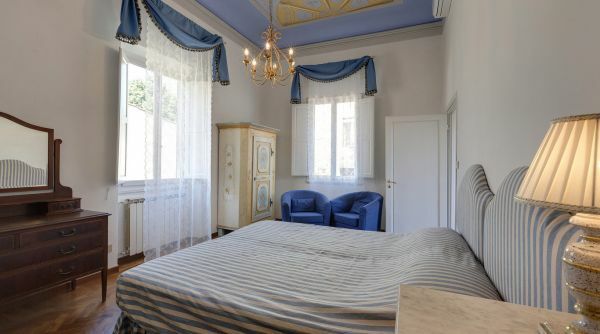 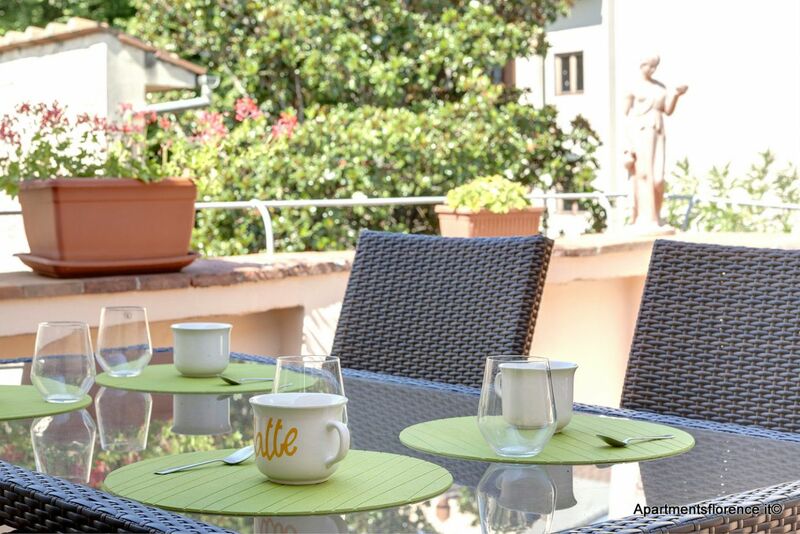 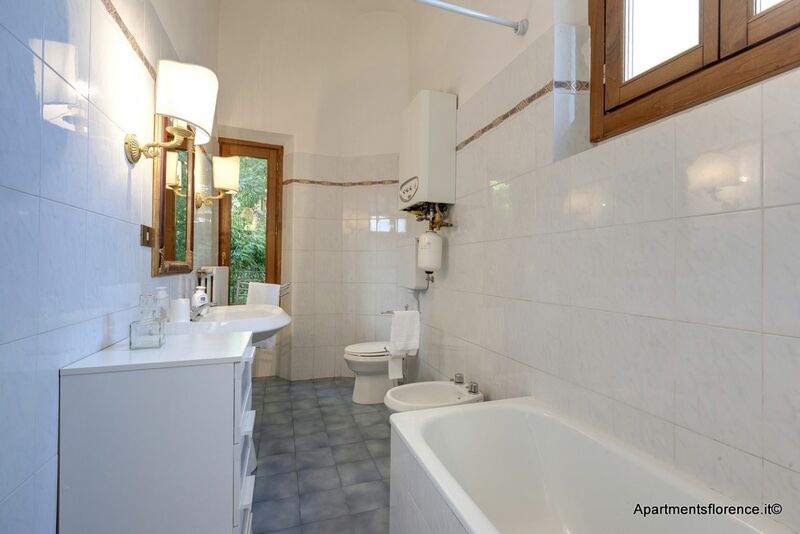 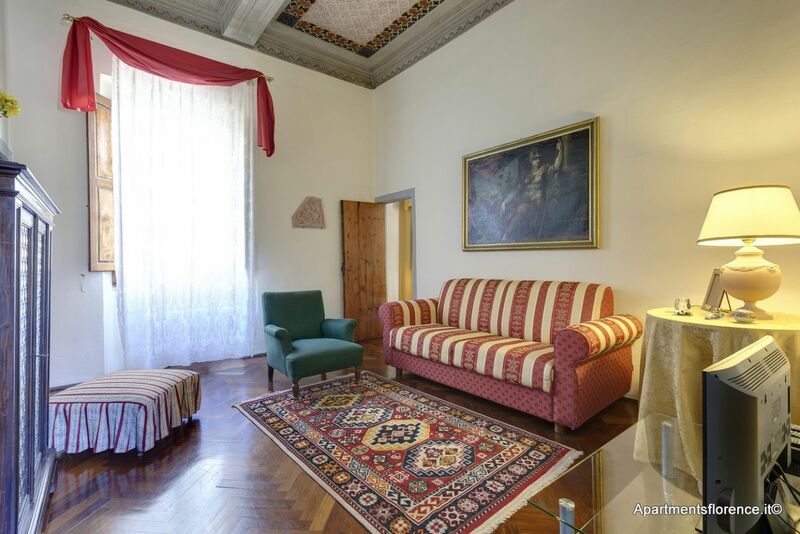 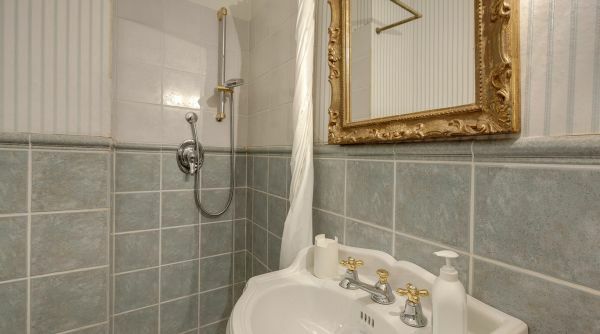 This luxury apartment lies at the heart of the old city center of Florence, just a short walk from the Duomo. 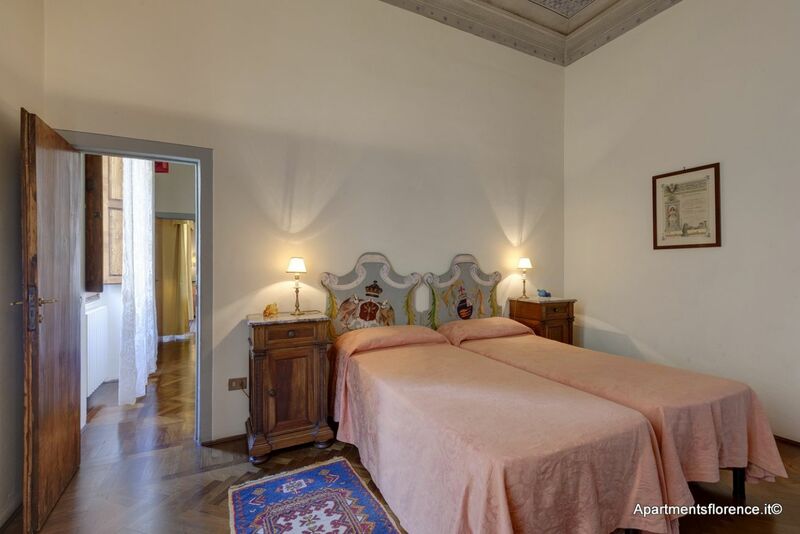 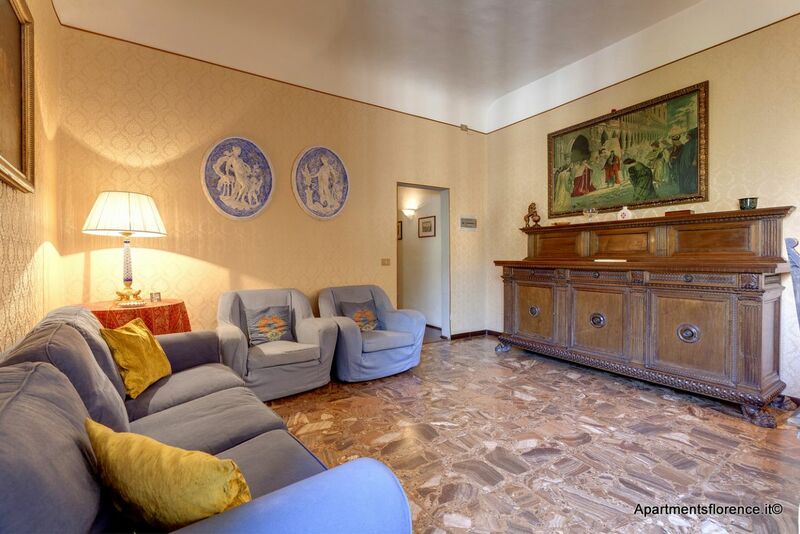 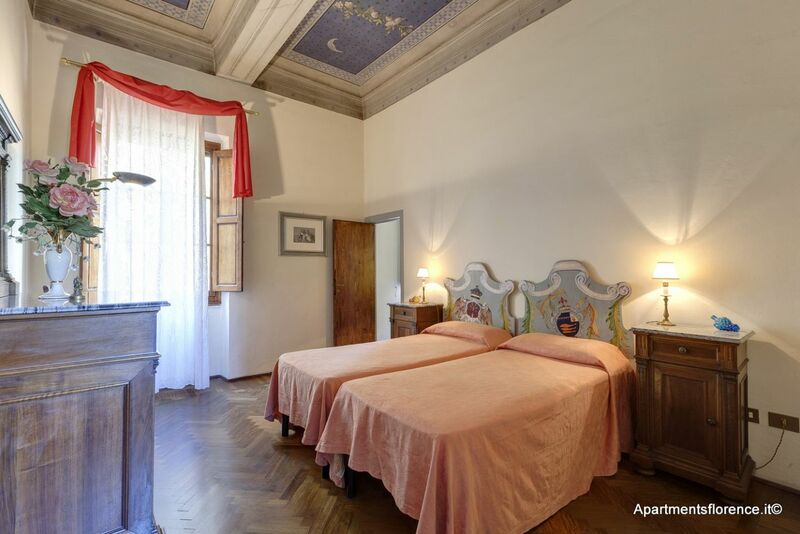 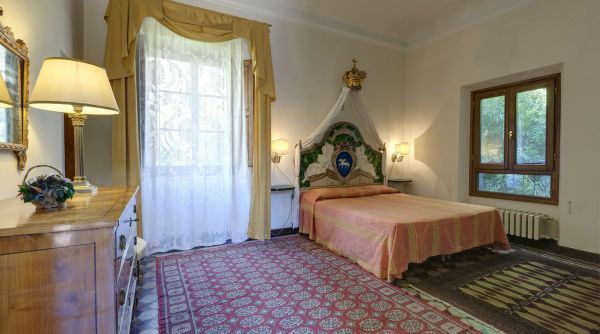 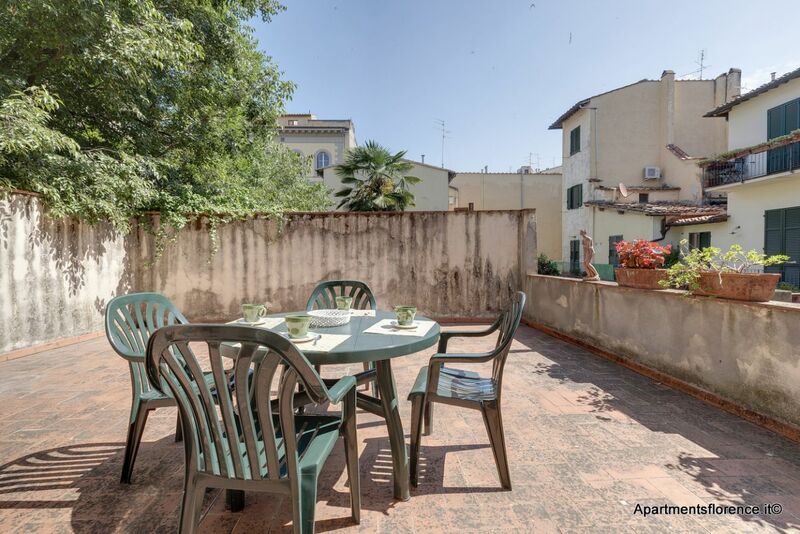 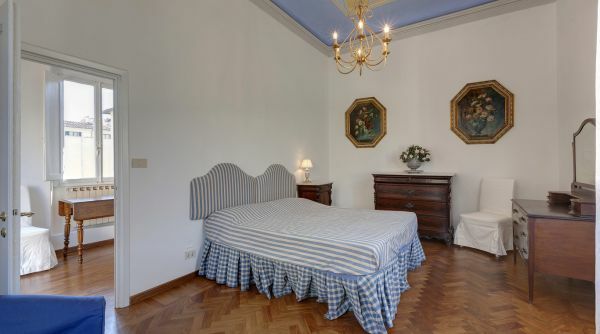 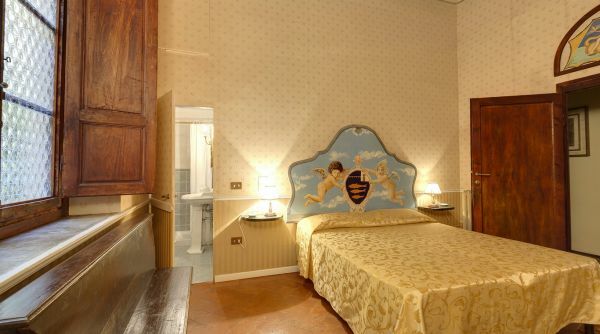 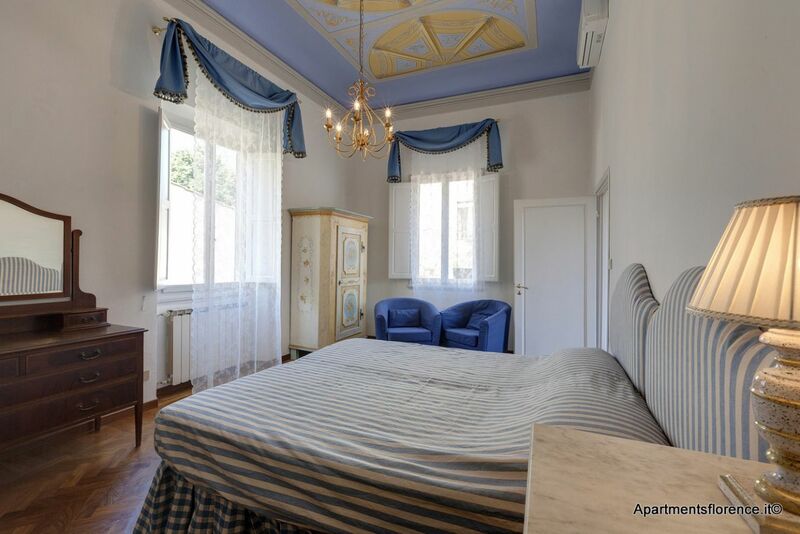 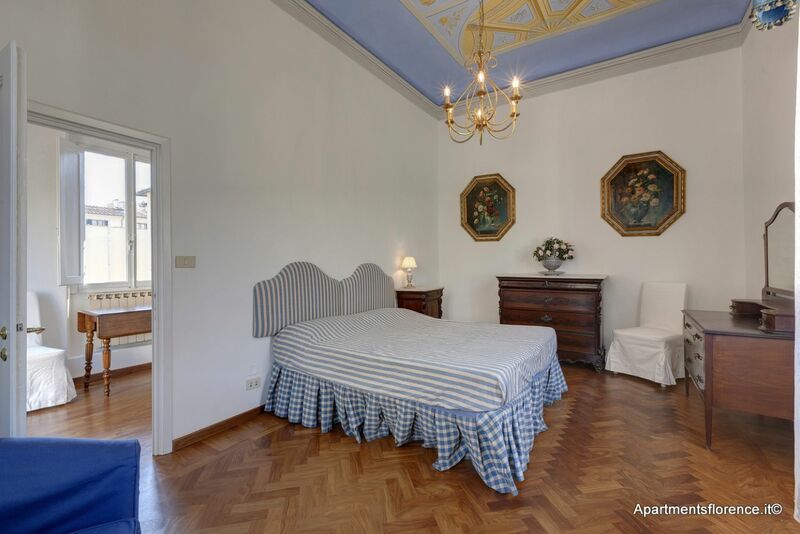 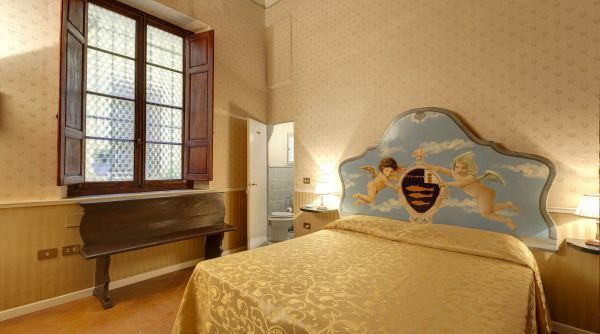 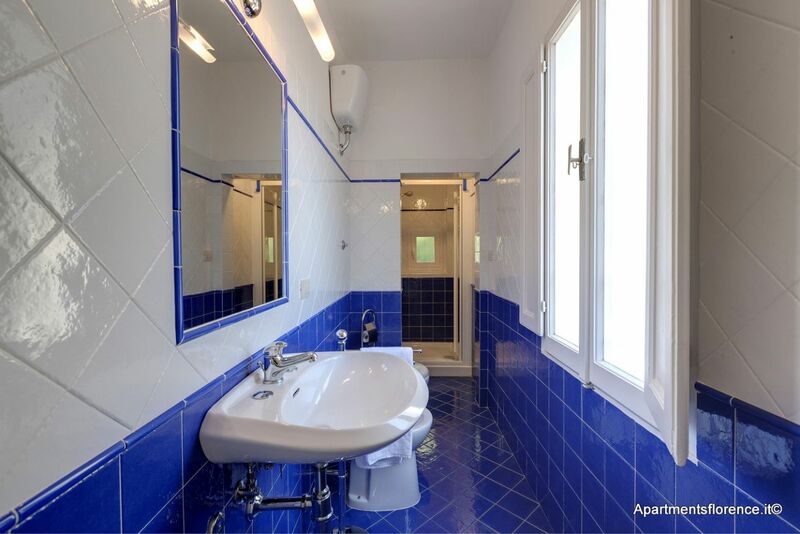 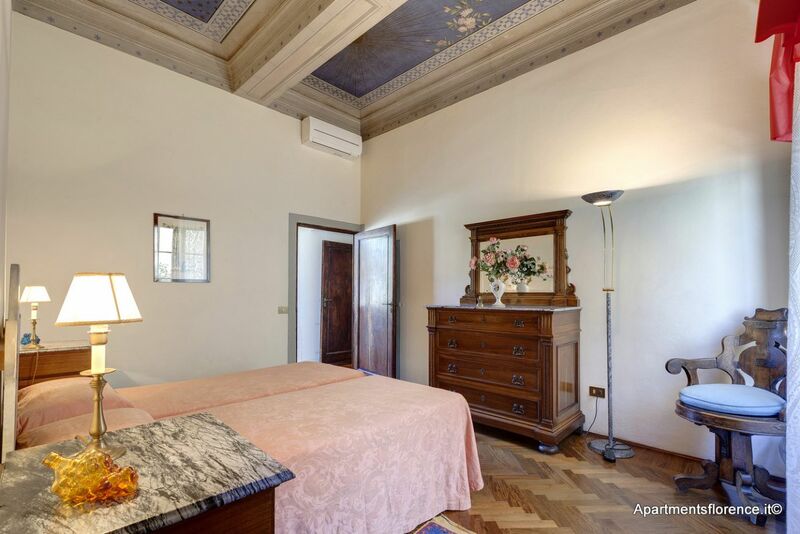 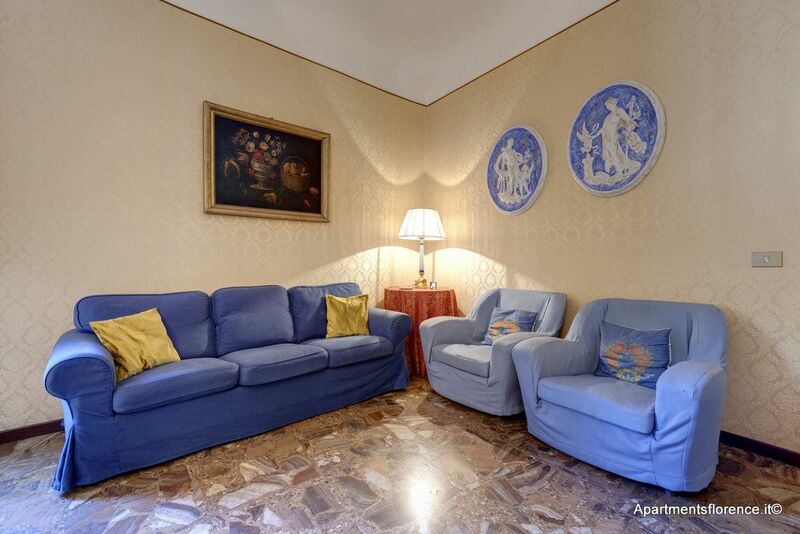 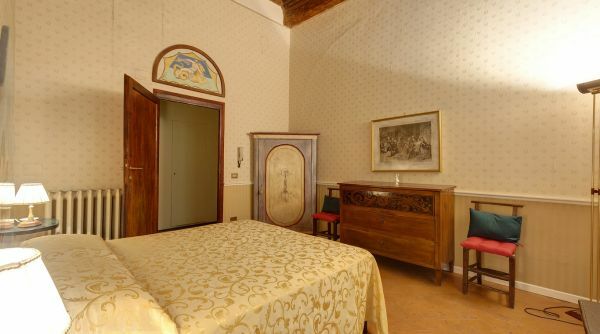 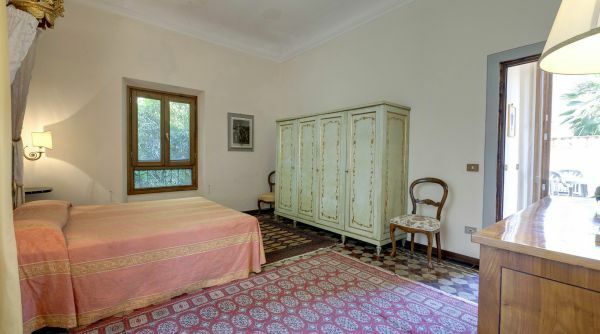 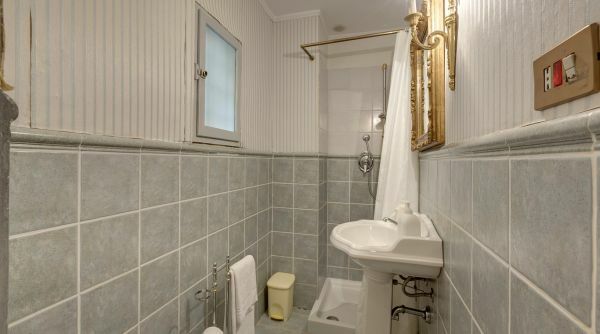 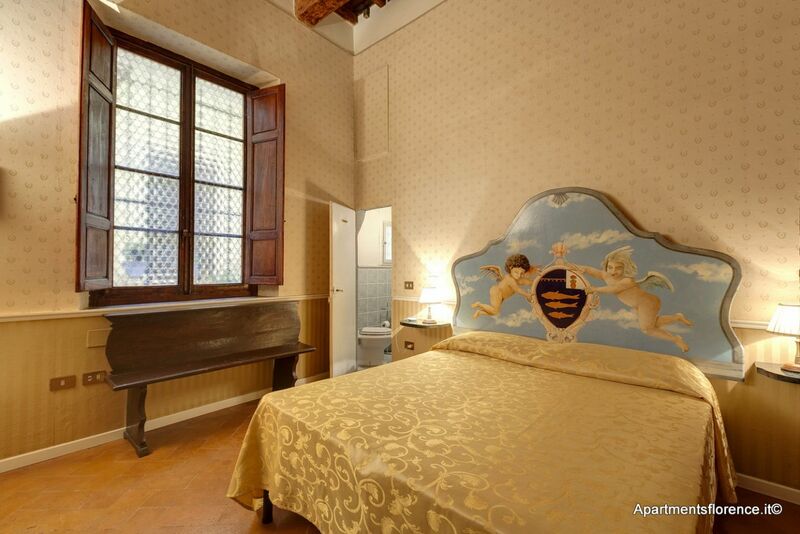 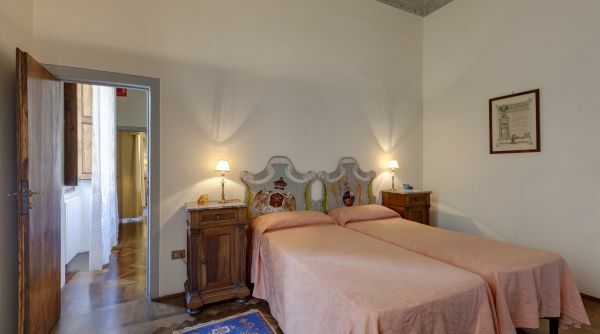 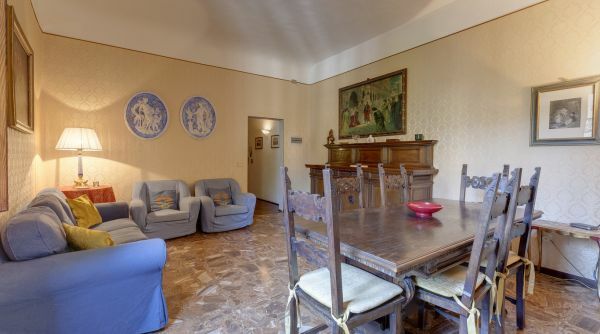 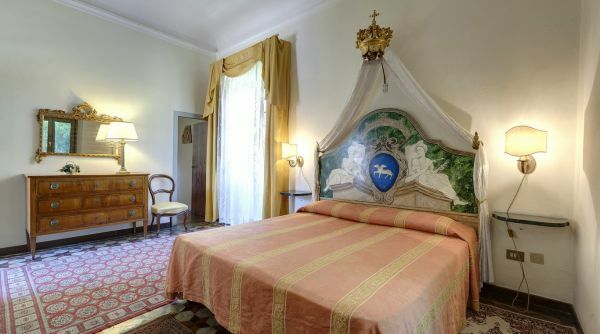 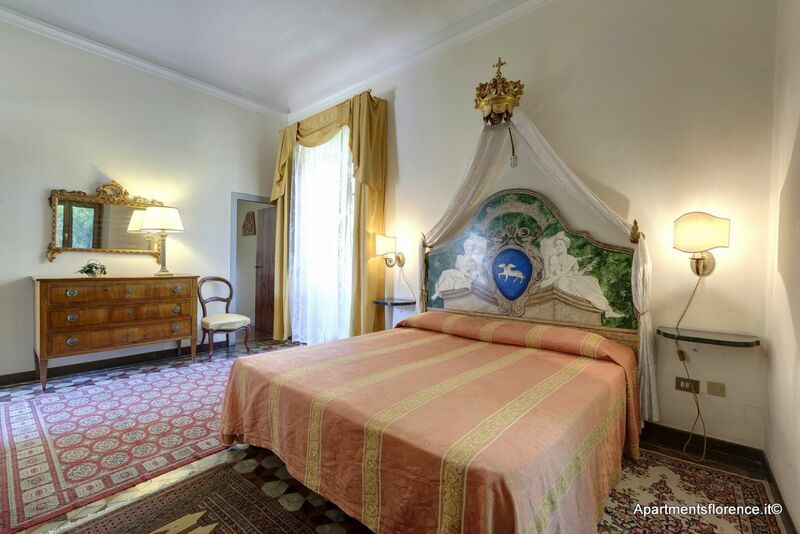 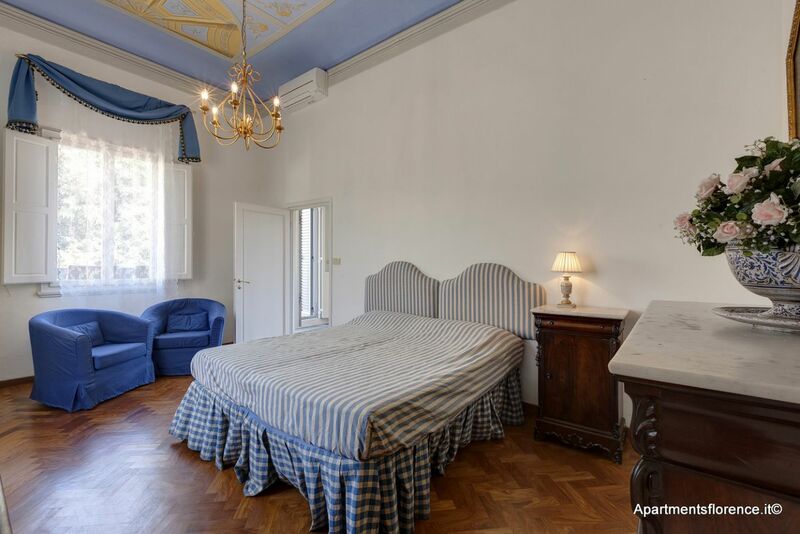 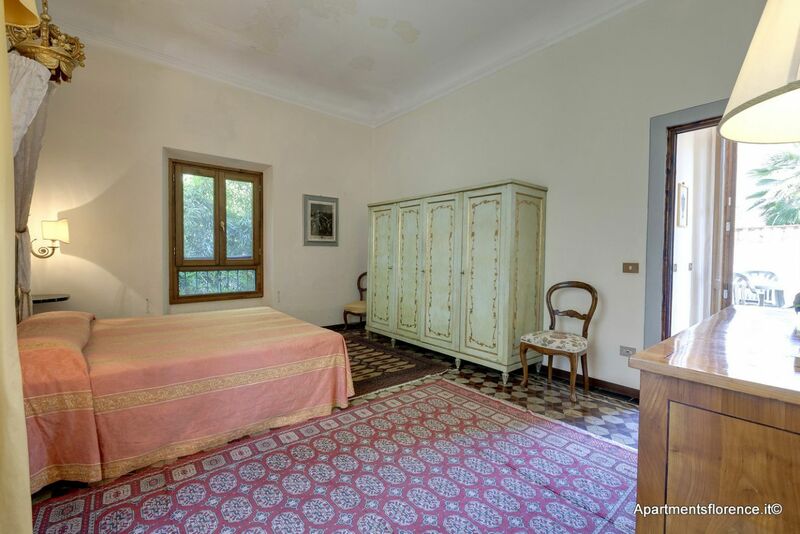 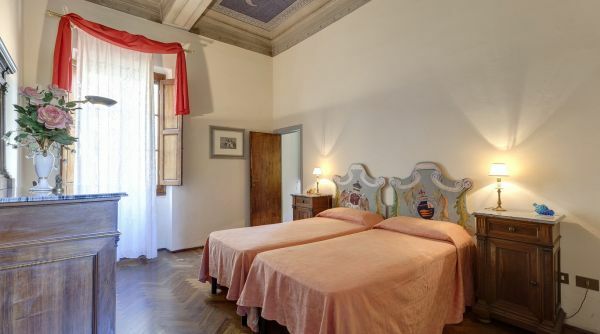 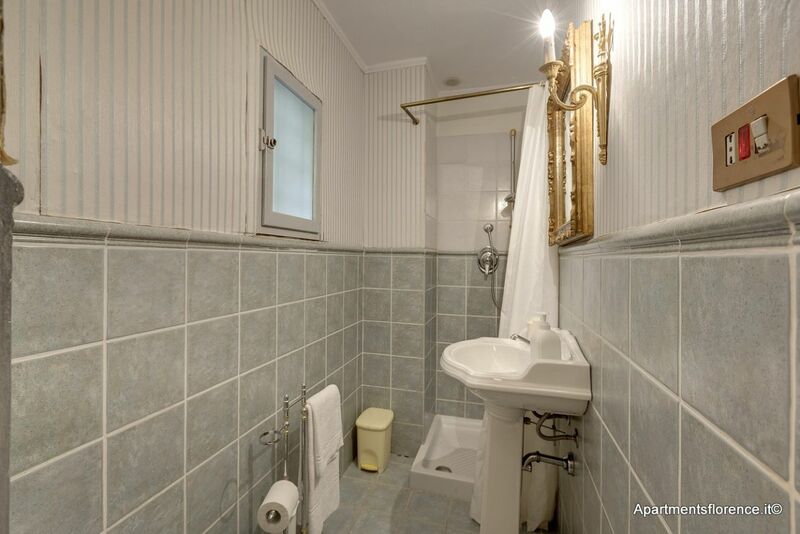 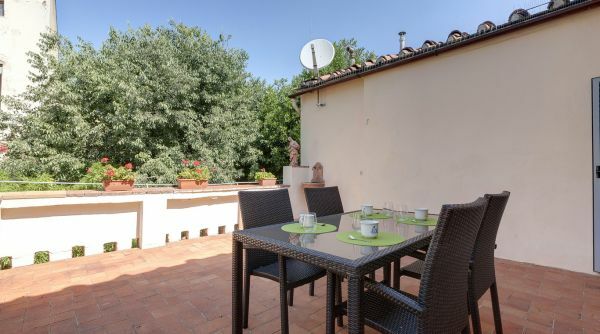 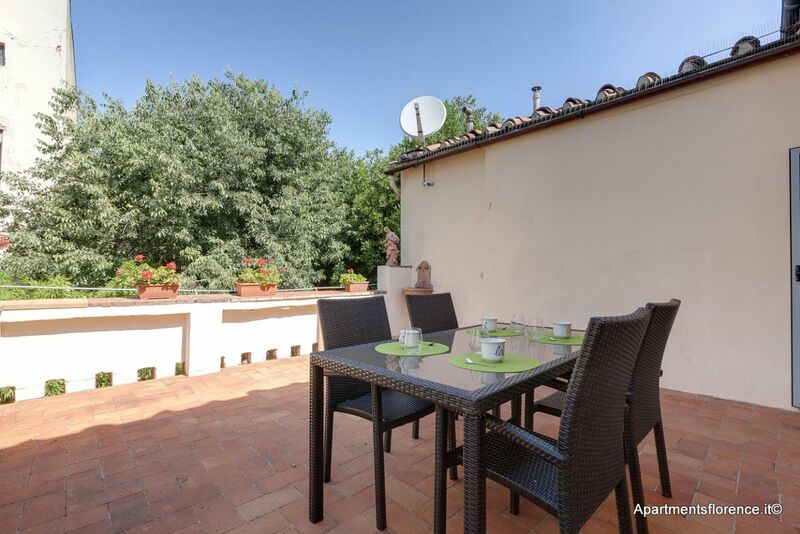 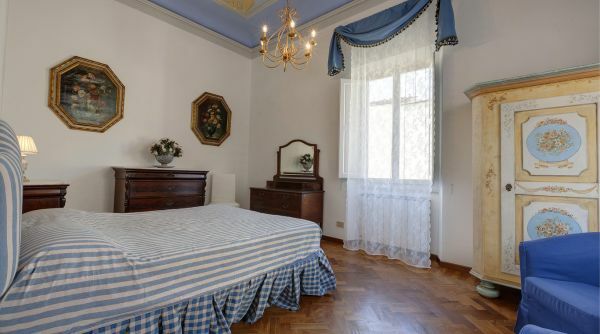 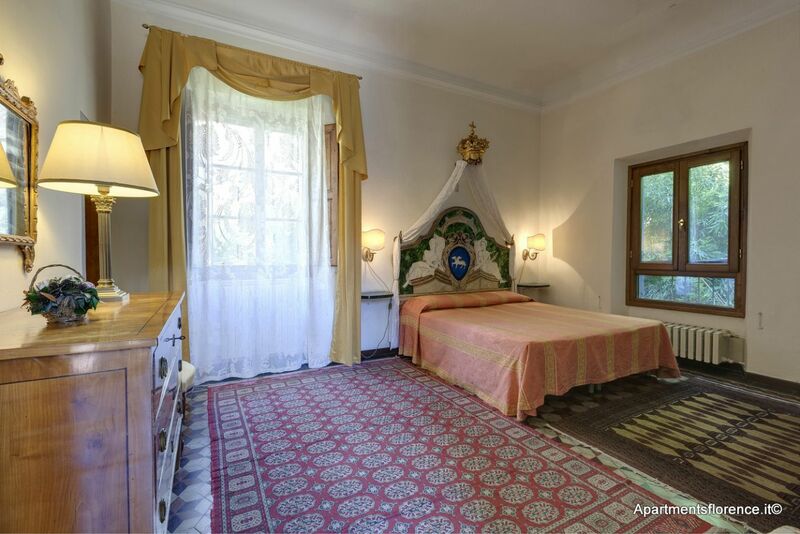 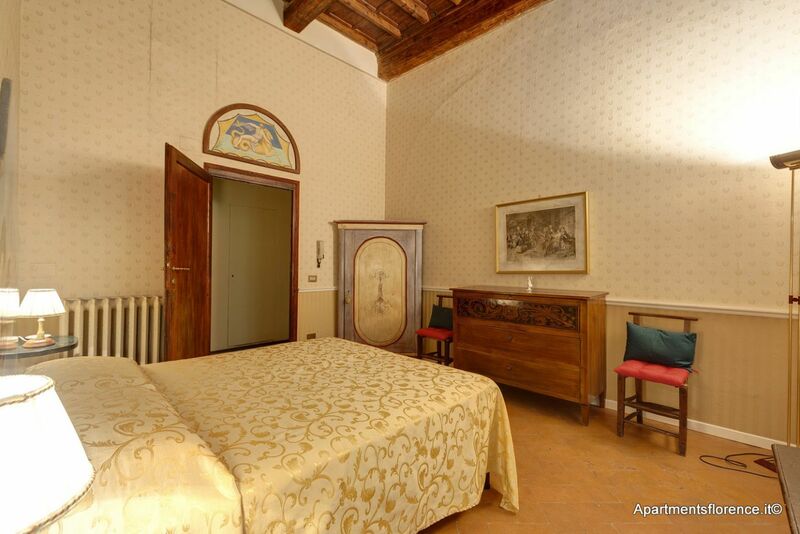 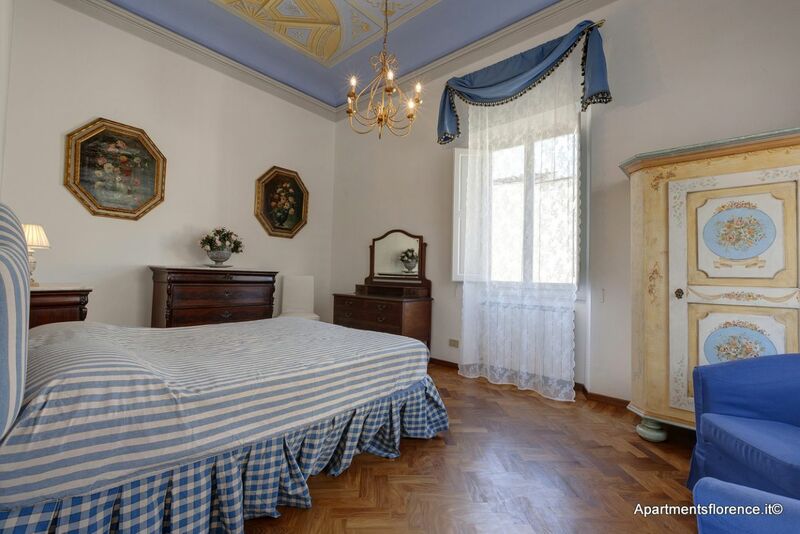 It is situated on the first floor of an elegant old palazzo that has recently been restored . 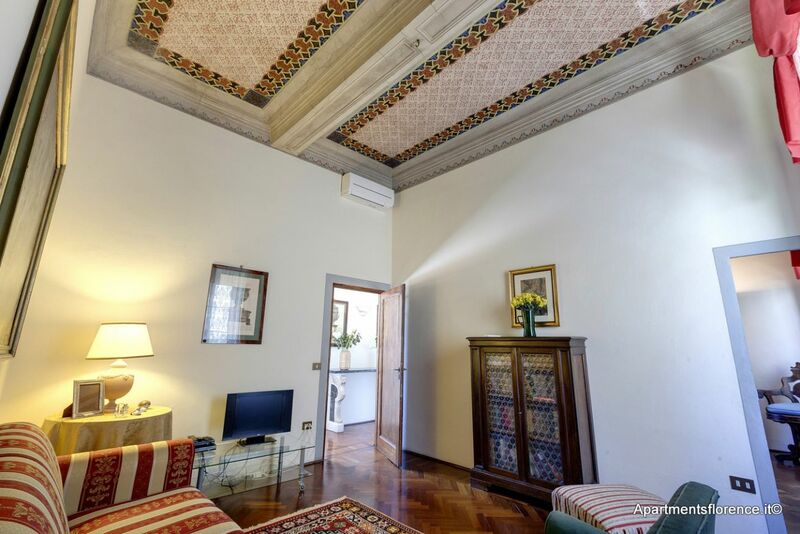 During the recent renovation they have carefully restored the eighteenth century frescoes on the ceiling of all the rooms. 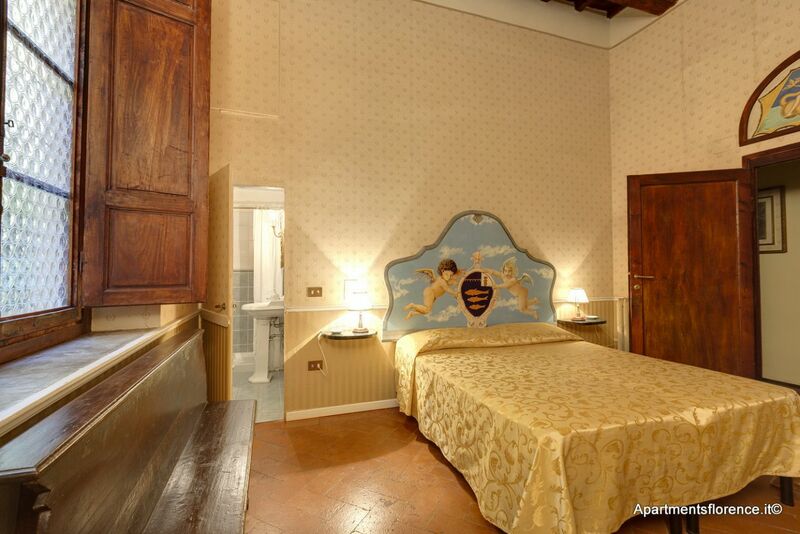 The antique furnishings are elegant and of excellent quality. 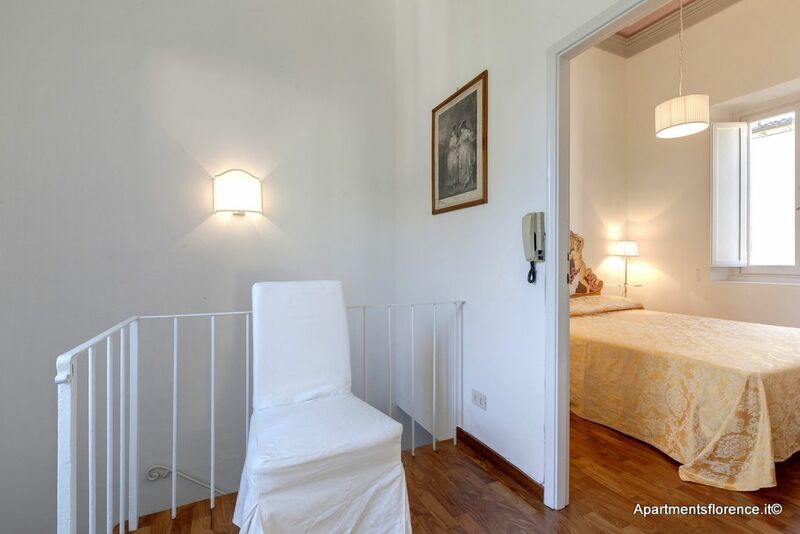 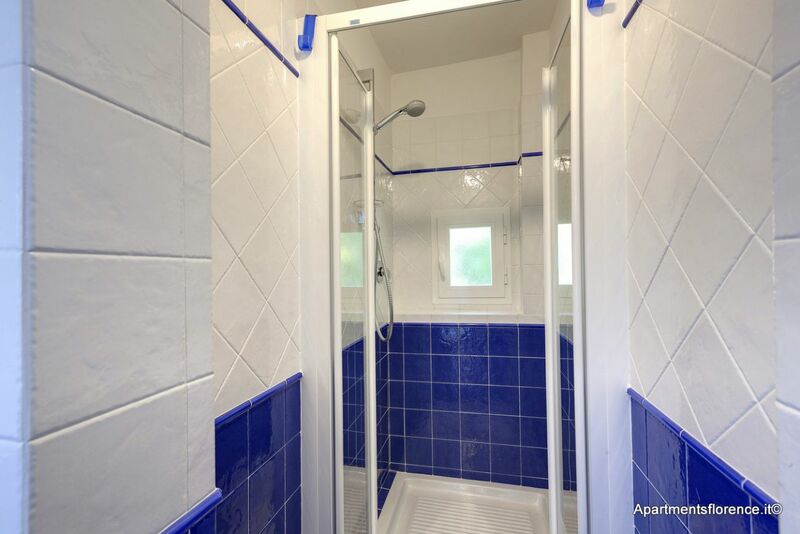 The apartment has two levels and it can accommodate up to 12 people. 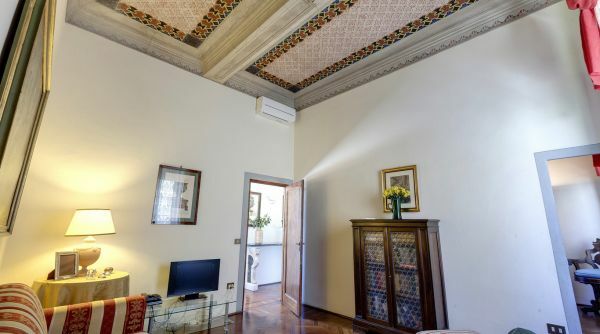 On the first level the apartment has a spacious and comfortable living room with a dining table for 12 people, 3 double bedrooms and 2 bathrooms. 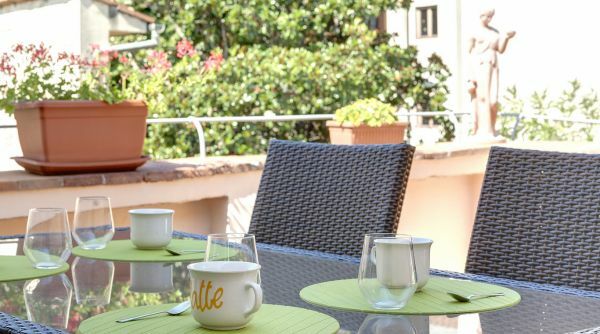 On the same floor there is another living room, a fully equipped kitchen and the first of the two big terraces where you can enjoy your meals and have some relax. 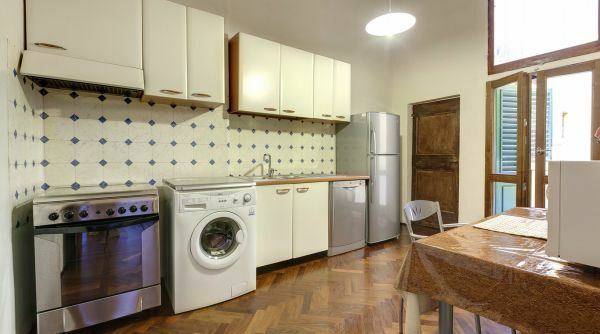 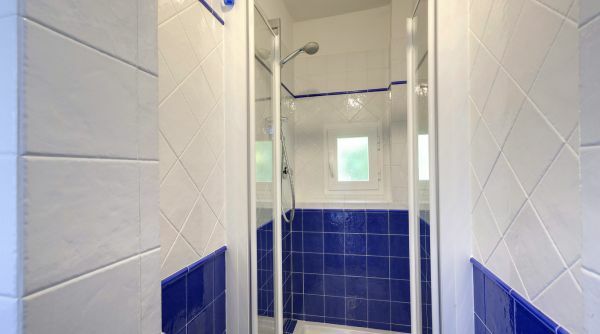 The apartment is equipped with all the modern comforts as washing machine, dishwasher, microwave oven, internet wifi, air conditioning, DVD player and TV. 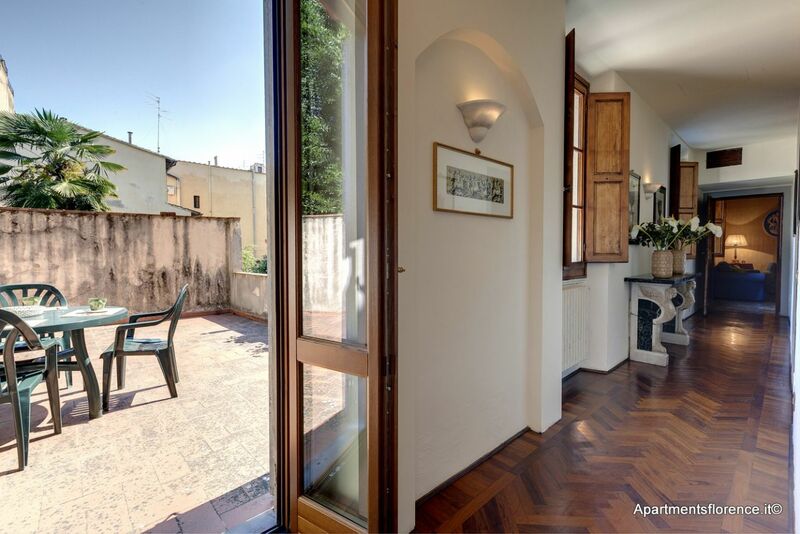 On the first floor there are 2 double bedrooms, another dining area with a small kitchen, a bathroom and the second big and quiet terrace.